Here's your opportunity to begin an exciting and rewarding career in Education! LPS is searching for talented, enthusiastic and qualified applicants to teach, guide and nurture our students. 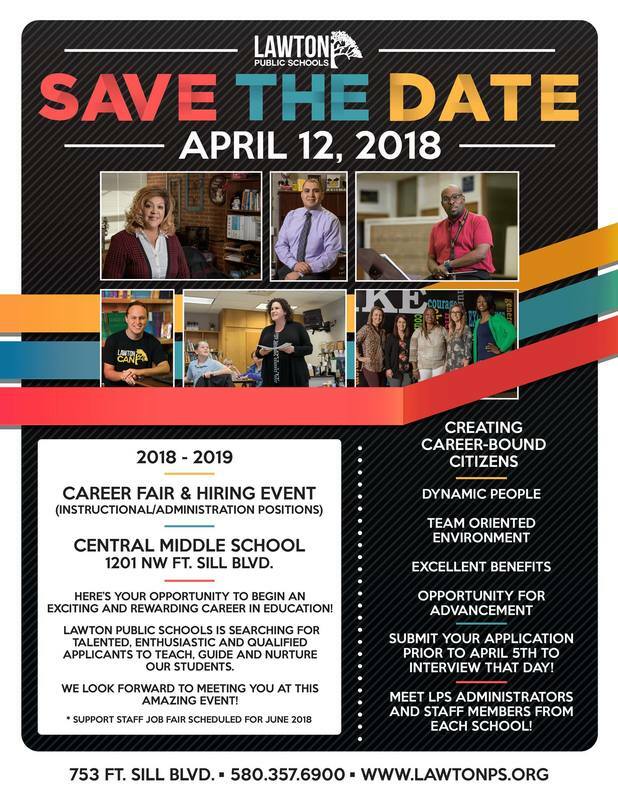 Representatives from Troop to Teachers and Cameron University along with Jon Parker will be present. Doors will open at 4 p.m. There is a special session at 5:30 pm for those interested in entering the field of teaching. This is specifically for those who have a degree, but not an education major. For more information, call Human Resources at 580-357-6900. Thank you.